From the South Bus Terminal in Cebu City, you board a bus bound for the southeastern portion of Cebu. As you make your way to the south, you see the scenery change from an urban setting to a much more rural one. The trip starts out loud then gets quieter as the further south you go. Sitting on the left side of the bus allows you to enjoy the beauty of the coastal area. After you pass the town of Dalaguete, you are greeted by the beauty that is Alcoy. 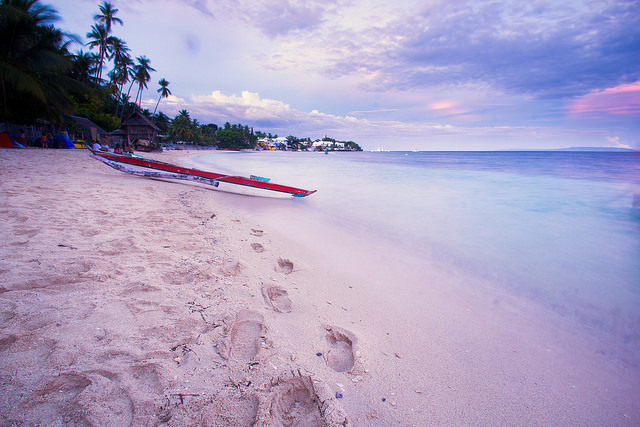 Although best known for Tingko Beach, the highly popular attraction located by the highway, there’s still so much more we don’t know about Alcoy. But what little we do know about the area still makes it worth the visit. Hit the beach. By beach, this automatically means Tingko Beach. It’s not even hard to miss the beach because it’s right by the highway. Since it’s pretty well known, you can just ask the driver or conductor of the bus to drop you off by Tingko Beach. You can try visiting during the weekdays to avoid the crowd during the weekend. Then again, be aware that there are minimal amenities in the beach. See the old church. 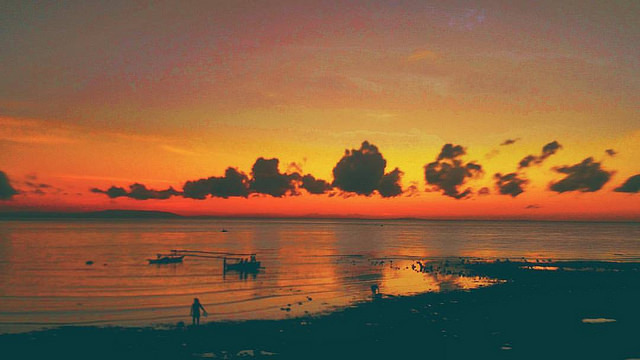 Cebu is one of the many provinces in the Philippines that was settled by the Spanish when they occupied the country. So it’s not a wonder that many of their structures still stand to this day. And the churches they left behind on the southeastern portion of Cebu are stunning and well worth the visit, including the Santa Rosa de Lima Parish in Alcoy. It makes for lovely photo opportunities as well given the amount of trees that line the area. Try spotting a siloy. 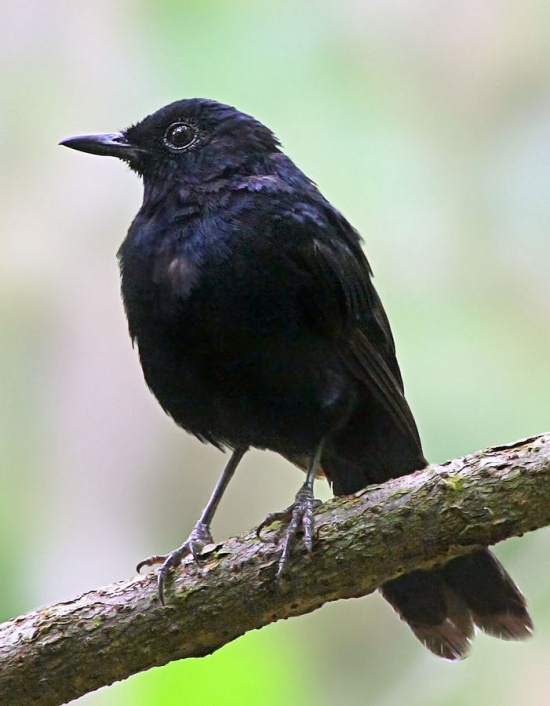 The siloy or Black Shama is endemic to the forests of Alcoy and is listed by the IUCN as endangered. It’s best to get a guide to help you with spotting the bird but don’t get frustrated if you don’t find one as they can be quite elusive. Alcoy is not that hard to reach as buses bound for the southeast ply the area. The best way to get to Alcoy is to board a bus at the Cebu South Bus Terminal. Make sure to get on a bus headed for Liloan, Santander as that passes through the southeastern portions of Cebu, including Alcoy. Getting around the different areas in Alcoy is done through tricycles or jeepneys. And while you’re in town, why not head to areas close by for the attractions they have to offer? 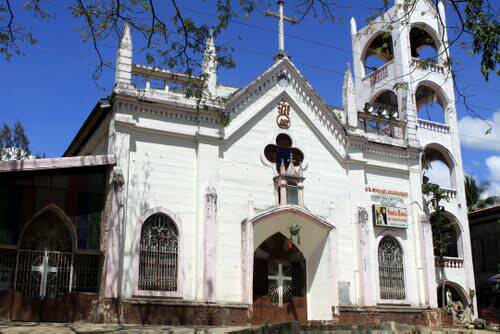 Oslob is the next town where you can watch whale sharks and visit the old church. Finding peace and quiet usually means venturing further away from the city. Thankfully, there are spaces that offer just that, and one of them is Alcoy. It’s a place where you can just sit, reflect and enjoy the quiet life. Life is generally slow-paced in the towns outside Cebu City, and that’s what makes them a draw for visitors.